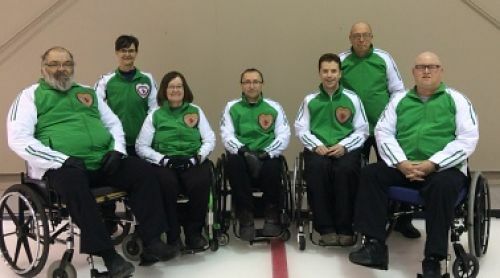 Affectionately known as the “Wheelies”, Team Saskatchewan yet again showed the depth of talent in our province. 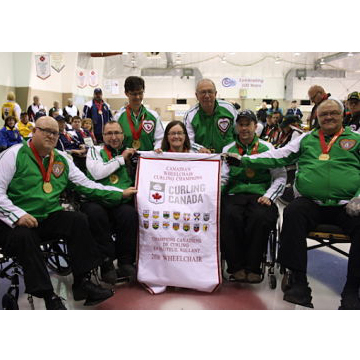 The recent Canadian championships at the Callie Curling Club had the hometown favourites pull out a second national title for the Green and White. Athletes Darwin Bender, Marie Wright, Larry Schrader, Moose Gibson and Gil Dash along with Coaches Lorraine Arguin and Lloyd Thiele took a 7-2 round robin record into the playoffs. Playing tough in two straight victories over Northern Ontario in the 1-2 game and then in the Final demonstrated the experience and talent of this team.